Being in transit in a foreign country with a different culture and lifestyle is often disturbing for refugees. Soroptimists in the Netherlands want to tackle this problem by getting directly involved with the migrants who arrive in their country. They offer them meaningful activities and great experiences – together with Dutch women. 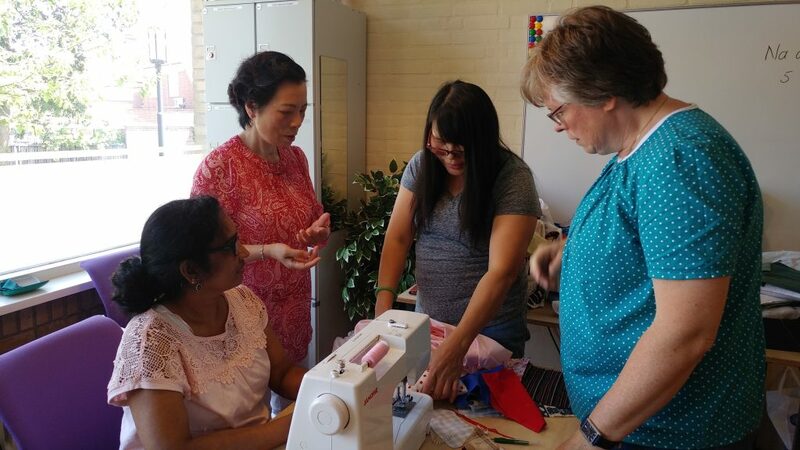 SI Club Bennekom and Beekdal organizes activities every Wednesday afternoon for the women of the local Asylum Seeker Centre. The aim of this initiative is to start a local project for women refugee. This project supports these women in transit and enables them to have some time for themselves; they can share their stories and discover their talents. The Soroptimists have made available a space dedicated to women providing an opportunity for cultural exchange. And they are teaching the women refugees tailoring skills thanks to the supply of sewing machines. Once again the Soroptimists are making a real difference in their community!